Gor Mahia are in Mombasa to take on Bandari in thir 23rd match of the 2018 Kenya Premier League season. They will be looking to make amends for dropping points against Nakumatt on Saturday. 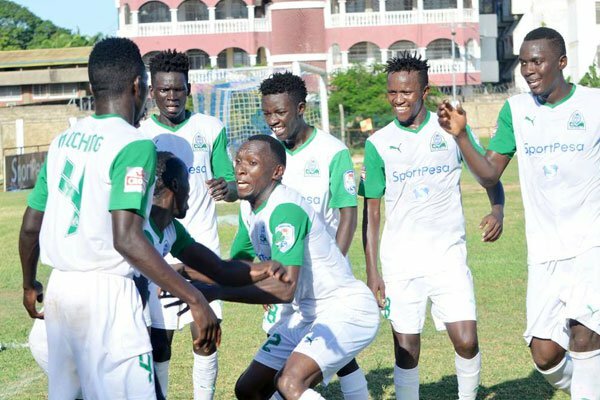 Gor Mahia need to avoid any further slip up as it could lead to a downward spiral as they negotiate packed August schedule. 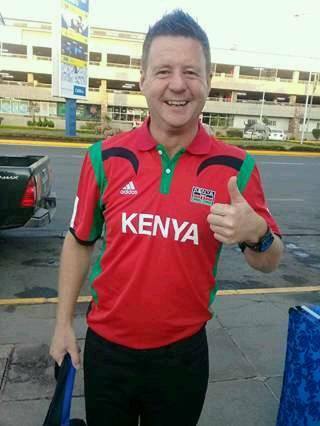 Coach Dylan Kerr admitted that his side was below par whereas Nakumatt played their best game of the season. Bandari too will come all guns blazing as they seek to gain notoriety as the team that broke Gor Mahia’s unbeaten record. Not only are Gor Mahia playing a difficult schedule, but they are playing against highly motivated opponents. New Bandari coach Bernard Mwalala promises to come up with a strategy to take advantage of Gor Mahia’s fatigue. “We know the strength of our opponents and we are also aware that fatigue has taken toll on them following a congested season and we will seek to take advantage of the situation,” he said to the Nation. Mwalala, a former Kenya international, envisions nothing short of victory. “We are going for nothing short of a win today and have prepared well for the match. It will therefore be either a win for us or a loss for Gor Mahia,” he concluded. Gor Mahia will have to contend with former players Bernard Odhiambo who will be highly motivated as well as Shaban Kenga who is trying to revive his once promising career. 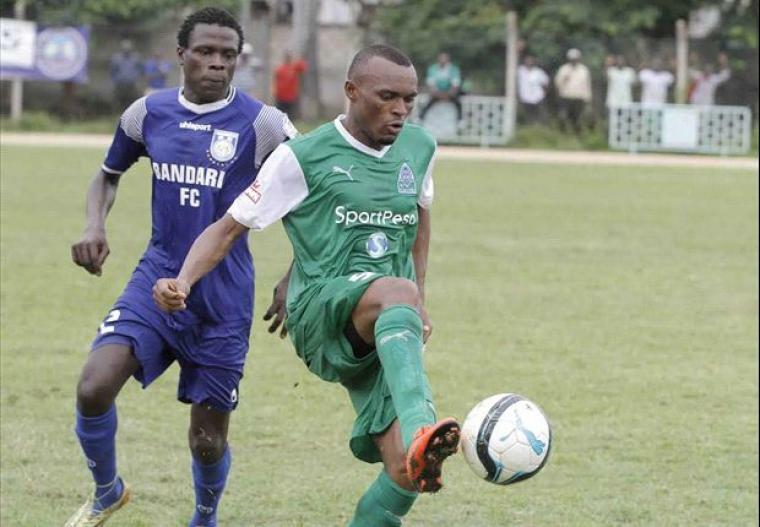 Kogalo has had a good record against Bandari lately. They won the last match between these two sides 2-0 on March 3. In the second leg of the 2017 season, Gor Mahia trounced Bandari 3-1. Gor Mahia’s unstoppable march towards the 2017 Kenya Premier continued unabated in Kisumu on Saturday when they hammered Bandari 3-1. The goals came via Francis Kahata, Meddie Kagere and Wellington Ochieng. 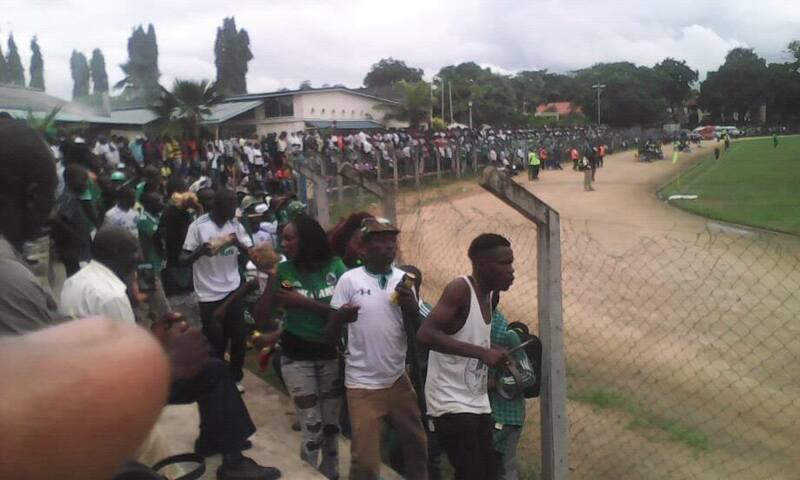 KISUMU, Kenya- Gor Biro Yaw Ne Yo (Gor is coming) boomed around Moi Stadium in Kisumu on Saturday as K’Ogalo faithful savoured SportPesa Premier League (SPL) leaders Gor Mahia FC’s comprehensive 3-1 victory over Bandari FC. Victory, a third in succession over the dockers, brought the record 15-time SPL title winners closer to the promised land of a 16th crown leaving the ecstatic Green Army to belt their full repertoire of tunes in praise of their beloved side. Goals from Francis Kahata, red-hot Meddie Kagere and Wellington Ochieng’ is all Dylan Kerr’s charges required to complete a double over the struggling Bandari and move 11 points clear of second placed Kakamega Homeboyz FC. Michael Apudo pulled one back for Bandari but it proved to be a mere consolation in the end. Elsewhere, Western Stima FC and Nzoia Sugar FC played out to a barren draw. In Kisumu, both sides came into this match on the back of contrasting fortunes; the hosts having picked back to back wins over champions Tusker FC and title rivals; Sofapaka FC to underline their credentials as the favourites to lift the trophy when the 2017 SPL is eventually done and dusted. 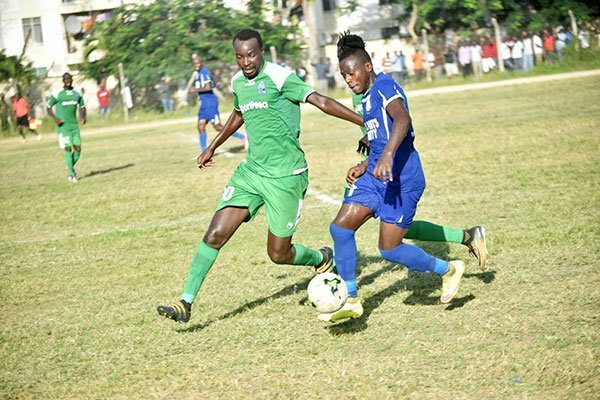 Bandari on the other hand were smarting from defeats to the brewers and Chemelil Sugar FC but found no respite in the steamroller that is Gor. Eager to steady his ship, Ugandan Paul Nkata who masterminded the dethroning of Gor last season with Tusker, made three changes to his Bandari side. Compatriot Andrew Waiswa was handed a defensive midfield role to provide cover to the back four while the attacking duo of Darius Msagha and Wilberforce Lugogo replaced Mohammed Siraj and Anthony Wambani. His opposite number Kerr summoned the solid Wellington Ochieng’ to take up the place Karim Nizigiyimana at right back as he kept faith in the squad that slay Sofapaka in midweek. As has been the norm at the Moi Stadium whenever K’Ogalo are in the mood, Gor started brightly, exchanging neat passes with the midfield trio of Kenneth Muguna, Ernest Wendo and Kahata dictating the pace early on. Kahata thought he had handed his side an opportunity to grab an early lead when he was appended in the box by Waiswa but the centre referee, Moses Simiyu, waved away his appeals for a penalty. Cautious not to concede early like the first leg when they found themselves trailing inside the opening quarter, courtesy of Innocent Wafula’s goal, the Dockers opted to soak in pressure. The experienced duo of Felly Mulumba and Noah Abich did well to thwart K’Ogalo but they finally cracked moments before the break when Kahata showed his class to notch the opener and send the Green Army to a frenzy. If Kahata’s goal had soured Nkata’s mood heading to the half time, break then what transpired shortly after the restart left the Ugandan a frustrated man. Mulumba played a dangerous back pass to Joseph Okoth with Kagere lurking and the Gor forward made him pay with a clever interception before slotting past Okoth to put Gor in control. Staring at his fourth consecutive loss in the SPL, Nkata played his first card introducing Kelvin Omondi for Lugogo yet the storm never abated. As if to justify his inclusion ahead of Nizigiyimana, Wellington planted a bullet header beyond the despairing dive of Okoth to settle the tie as a contest. A late surge by Bandari saw them plant some respect on the score line with nine minutes to go. Michael Apudo arriving early in the box to tap in Shaban Kenga’s cross from close range. Earlier, Bidco United beat Rainforest 2-0 in Thika. Despite controlling proceedings for the better part of the game, the 15-time league champions suffered a scare early into the second half, when Bandari went ahead courtesy of Lewisw Cosmas. 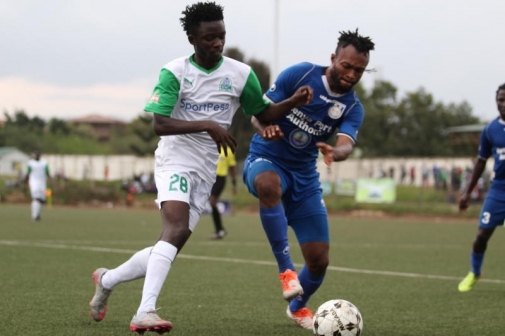 The former Shield Cup champions however made amends in the 74th minute through new signing Boniface Omondi and the stalemate persisted until the final whistle, necessitating a penalty shootout. Meddie Kagere, Boniface Omondi, Harun Shakava Musa Mohammed and Wellington Ochieng converted their penalties for K’Ogalo, but Francis Kahata and Kenneth Muguna failed from 12 yards. Gor coach Kerr arrived in the country early Sunday morning and proceeded straight to Thika where he got his first glance of the team he has committed to coaching for the remainder of the season. 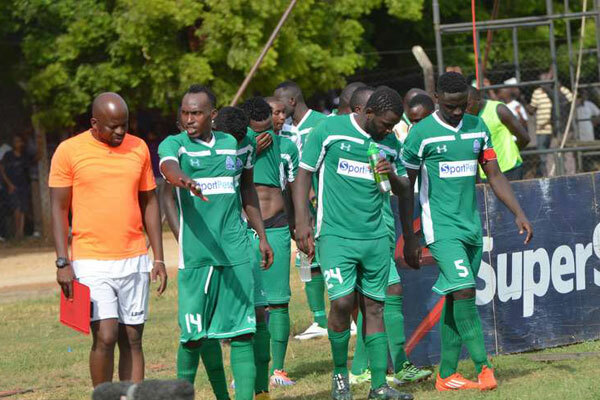 Gor Mahia have been unimpressive since winning the Sportpesa supercup. The new coach has his work cut out. Gor Mahia went down 1-0 in the 2016 DSTV Super cup match played at Mbaraki sports club. Gor Mahia asserted themselves well in the first half but were left to fight an uphill battle when Harun Shakava was sent off for an unsportsmanlike tackle on Dan Sserunkuma. If there is one man Gor Mahia will blame for their unsuccessful attempt to bag their third DSTV Super Cup on the trot, then it has to be Bandari skipper-Wilson Oburu. The experienced shot stopper saved Bandari blushes in a game of two halves that saw Gor Mahia squander a cache of chances in the first half before Anthony Kimani delivered the punishment that a wasteful Gor Mahia deserved in the 68th minute with a memorable strike. Enock Agwanda was the first to call Oburu into action as early as the 4th minute capitalizing on a Felly Mulumba error to fire a tame shot towards goal but Oburu was at hand to smoother it with Jacob Keli lurking. Keli though he had given the Green Army the moment they craved for in the stands five minutes later but his goal was disallowed after Raymond Onyango adjudged him to be offside. An inch perfect ball over the top form George Blackberry Odhiambo found Agwanda on the right and the youngster beat Mulumba for pace sending in a searching cross that Oburu parried as far as Walusimbi on the edge of the 6 yard box. With Keli being played onside by Mohammed Shariff, the Kenyan international contrived to side-foot Walusimbi’s feeble shot into the net. Indeed a contentious decision from Onyango! The Oburu show was interrupted briefly at the quarter hour mark when Agwanda’s show-boating cost Gor Mahia yet another glorious opportunity to take the lead. Isolated upfront the burly forward took his time to juggle the ball at the edge of the box allowing Mulumba to recover and make a timely intervention. Bandari—uncharacteristically slow off the blocks at home—made their status as hosts felt soon afterwards with Musa Mudde and Anthony Kimani dictating play with neat passing triangles at the centre of the park. Gor Mahia looked content to sit back and soak in the pressure but still looked dangerous on the break. It was this tactic that bore the best chance of the half when Collins Okoth found himself on the right end of a great passing manouever only to be denied by the lively Oburu. Agwanda feinted past Mulumba on the right to deliver a deep cross that Keli headed into Okoth’s path. Under pressure from Shariff Okoth did well to shoot into the bottom left corner but his effort was palmed out to safety by Kagere. Oburu was not done yet. Another finger tip save saw him keep out Shakava’s header from the resultant corner kick before it landed on the top right corner. 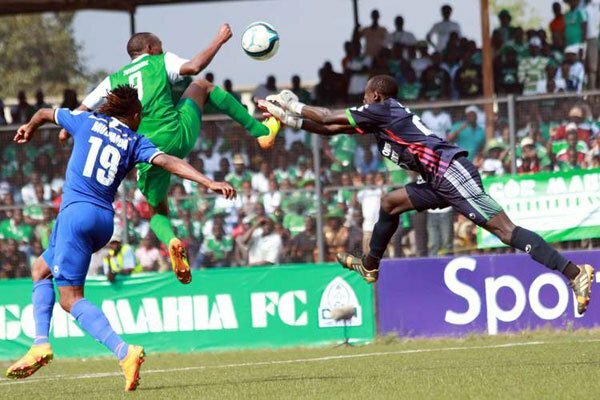 For all their positives, Gor Mahia suffered a major setback just before the breather when Shakava was sent off. In a completely innocuous situation, Shakava high booted Sserunkuma shortly after Karim Nizigiyimana and the diminutive Ugandan were involved in a moment of retaliation. It was a bad day in office for the former Gor Mahia man who was struggling to make a telling contribution to the game. Handing his side the numerical advantage turned out to be his last meaningful moment on the pitch as he was replaced by Meshack karani at the hour mark. With an extra man it was just a matter of when the Dockers would score and the breakthrough arrived in spectacular fashion. Anthony Kimani connected Karani’s delivery from a corner with an angled header that bounced off George Odhiambo’s core into his path. Presented with a second chance, the creative midfielder showed composure and class to beat Boniface Oluoch with a looping ball that bounced off the inside of the right bar into the net. The rest of the game in brief: Nuttall introduced Eric Ouma and Ronald Omino for Keli and Agwanda but the Coastal outfit held on comfortably to their slim lead. The result means Bandari have clinched their maiden DSTV Super Cup in the process ending Gor Mahia’s dominance in the competition that had seen them emerge champions twice in a row- in 2013 and 2015.